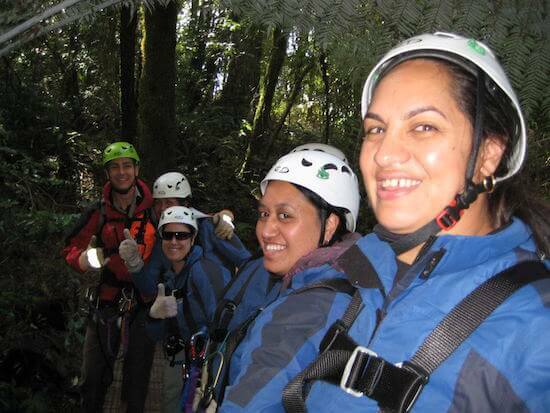 Put Rotorua Canopy Tours at the top of your ‘must do’ list of activities in New Zealand. 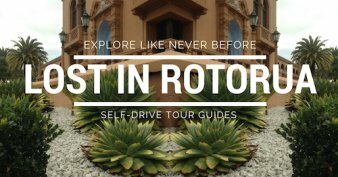 It's the most searched for tour to do with Rotorua so obviously they're doing something right. My friend Julie had this to say after her adventure. 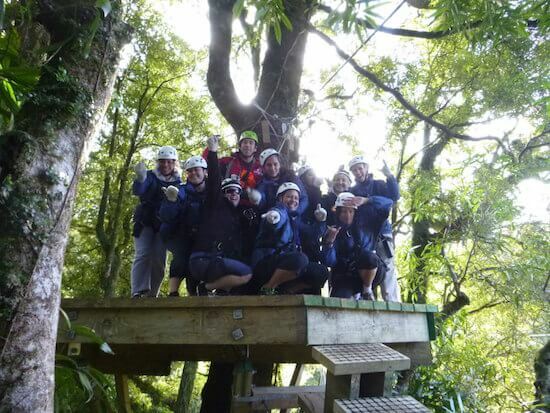 "If you haven't been out with Rotorua Canopy Tours yet, plan to! It's a must. 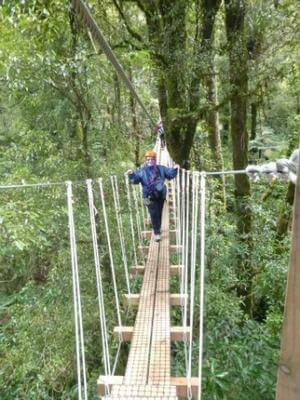 Seven zip lines and two swing bridges way up in the canopy of virgin forest. 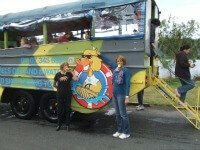 The guides are great and the 3 hour experience is value for money. Imagine being 40 metres up in a 500yr old Rimu tree! 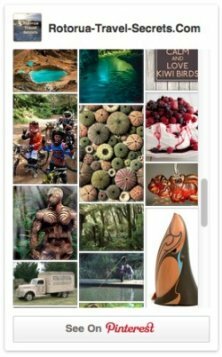 New Zealand as it was when the Māori arrived here." My daughter-in-law Corene was shouted this experience by a group of her girlfriends as a pre-wedding celebration. And her with an eye infection requiring sunglasses to top it off. Even though she's terrified of heights Corene had a blast and would love nothing better than to do it all over again. Many people that take part in this tour are scared of heights but the staff seem to have the knack of making them feel comfortable. Bottom line? Don't let it hold you back. 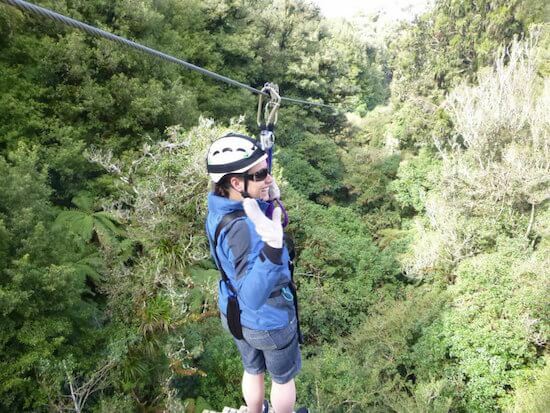 This is the only company operating zipline eco tours in New Zealand's native virgin forest. Unique? Definitely. And anything else would be a poor imitation. 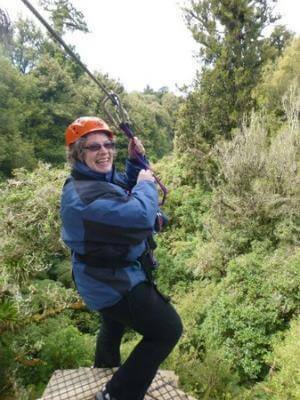 The guides at Rotorua Canopy Tours are highly skilled and thoroughly entertaining along with it. From the numerous reviews, they are turning people of all ages onto the wonders of conserving our forests and native species. Corene's group, plus guide, in the bush beforehand. With the introduction of predators to New Zealand, many of our native wildlife and birds have been hunted to extinction. Canopy Tours have made a point to make a difference to those few left by getting out there and dealing to the predators, one by one. That reminds me of Tui being rarely seen and heard around these parts for many years. In recent times, due no doubt to conservation measures, they have made a huge comeback in the city. Wonderful to see. Although it takes time, the folks at Canopy Tours have already helped the forest at Mamaku come alive again. Once again, songs ring out from Tui, Bellbirds, Kereru, Robins and others. Something you can feel really good about? A portion of your ticket price aids in the ongoing costs of this conservation work. Now is that cool or what? 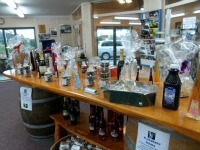 You can return home with the knowledge that you did your bit to contribute to New Zealand's ecological welfare. Thank you. Ready to launch into the air on the zipline eco tour. She appears to be saying, "Talk to the hand." 8 tours run daily (meet at headquarters) with a limit of 10 people per tour. 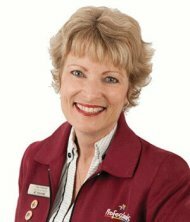 The guys and gals on staff are very good at getting a team spirit going so you can expect to have a lot of fun with that aspect. Age limits 6ys to... em, however old you are. I don't think it will be long until they have a centenarian paying a visit. The group is safe and sound. 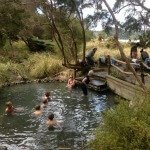 As the reputation of this popular Rotorua activity is growing all the time bookings are essential. This can be done online or via phone. I'm so looking forward to getting out there and experiencing this activity for myself. What about you? If you do go on a tour make sure to come back and add your own comment. Good quality wet weather gear is supplied if you don't have your own. And make sure to wear closed shoes. Photos are included in the price of your tour but still take your own camera though. You don't know what you'll get with the ones provided. PS. Being in a New Zealand native forest is a wonderful experience. The closest to Rotorua is Mount Ngongotaha (check out the fungi pics, they're so cute) and the best time to go is when it's wet. This is when any forest sparkles and shines.